I hope everyone has had a great couple weeks dancing! I had the opportunity to check the Bay Area Belly Festival last weekend - I arrived in time for the live music set with Tahneen, a favorite local Arabic music band. It was lovely to see all the dancers perform to their beautiful music. If you haven't already, be sure to sign up for their mailing list to stay in the loop about next year's festival and other events planned by the amazing Sudeep. 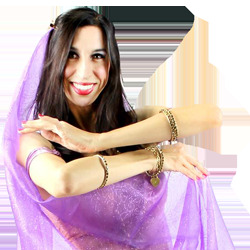 I am thinking of starting a series on American-style belly dance and dancers which, as much as I love Egyptian-style dance, is also a huge source of inspiration for me. So stay tuned for that and today we'll enjoy the most classic Egyptian style with Golden Era legend Samia Gamal. I chose this clip because of the song, it's a classic Egyptian song that was popular with early American dancers because it is on a George Abdo album under the title Raks el Gezlan on the album the The Art of Belly Dancing, which was one of the albums I grew up listening to! More on all that in the weeks to come, for now let's enjoy the one and only Samia Gamal. There is another lovely clip of Samia dancing a drum solo here - this is a must see clip for learning about Egyptian style drum solos. And just a few notes- I will be teaching this summer at SSF Parks and Rec for a 6 week session, I will get my Classes page updated this week with all the info. Contact me if you have any questions! And I will be performing at Al Masri on May 20th with Nazir Latouf and Band, at Tannourine on Friday June 1st with Khalil Abboud and Band and at Carnival of Stars Saturday, July 21st. I will try to get my Shows page updated this week as well with all the details. This is one of those clips that I watch over and over and over again. I just love the whole relaxed and happy vibe it has, and Fifi's personality and musical feeling just shine through. Melhem Barakat is a classic Lebanese singer and I love his music. I hope your week is going well! My classes page is updated with registration info for classes starting next week! Legendary songs including Daret El Ayam and Fakkarouni, and the partnership between two of Egypt's greatest artists.